The KISS ARMY AUSTRALIA would like to welcome Paul Stanley downunder for his first solo tour outside of the United States. *This site is here to give information to interstate Australian fans and those traveling from overseas to attend the tour. Plese check www.ampresents.com for confirmation on dates and show times. YOU WANTED MORE SHOWS, YOU GOT MORE SHOWS!! 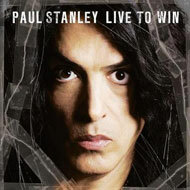 the Paul Stanley LIVE TO WIN 2007 tour are now confirmed. April 17th in Sydney and April 21st in Melbourne!! Tickets for both shows will be on sale to everyone 9am Monday March 5. **There is no pre-sale opportunity.